The easiest way to feel at home in Rome is to learn Italian. I realized this over and over again in town and cities across the country, and the world. Accents matter and slang is important to legitimize you as someone who belongs. So, I started to love learning languages and it was easy. Once, in the middle of a Carnatic music class, I began to speak in French to my Tamilian teacher dreamily. The more Hindi I learnt, the more confused I got about Tamil grammar. When I started to learn in Kannada, random Hindi words would filter through my mind. When I learnt Polish, Spanish songs would run constantly through my head. But somewhere, it was interesting to see how words of different languages interacted, were unable to transfer their essence. The more languages I learn, the more I realize how much English strips us of feeling. But English is the only language I have to communicate with large numbers of people and I will not grudge it that. Language is the ‘get out of jail card’ to fitting in. But diplomacy is whole ball game on its own and in international relations, language is key tp narratives. For example, the US has proposed a motion to put Pakistan on the global watchlist of terror financing but Pakistan has been granted a 3-month reprieve. Islamabad took control of some charities run by the Jamat-ud-Dawa and the Falah-e-Insaniyat to avoid getting on the global watchlist for terror sponsoring however the charities function on a business as usual mode. 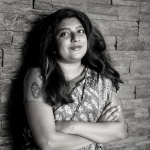 The current imbroglio in the Maldives is slowly becoming the focal point of global conversations concerning India’s role as a leading power in the Indian Ocean region as well as on the world stage. In the Maldives, the state of emergency declared by President Yameen has been extended for another 30 days. Meanwhile, as China has indicated its support for the regime, Brahma Chellaney calls for India to impose sanctions on the island nation. On the other side of the neighbourhood, Bangladesh and Myanmar have set a date to discuss further repatriation of Rohingya refugees and Bangladeshi Prime Minister Sheikh Hasina called on India to increase its pressure on Myanmar. Meanwhile, the Bangladesh Government with the help of British and Chinese engineers are trying to rehabilitate the refugees to a silt island called Bhasan Char in order to ease the burden on their own border areas. Questions about safety against floods and provision of basic supplies to the island are yet to be answered by the Bangladesh government. But as it is in an unenviable position with regards to the refugees, India should consider stepping in. At home, we had a visitor who is emblematic of the ‘woke online man’. Canadian Prime Minister Justin Trudeau, whose PR team has styled him as the golden boy of international relations, found that his charm could not win over stoic Indian decision-makers. 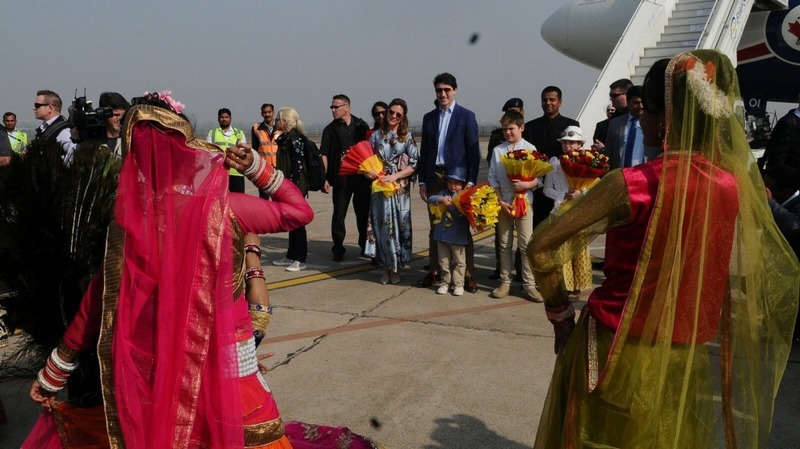 Trudeau is facing elections next year and his visit to India has important domestic signalling to his constituency in Canada. As most of his party base is Sikh, the Indian government sees Trudeau (and Canada) as reluctant to act on its concerns regarding Khalistan. Unlike in Punjab which bears little support for strains of Khalistan, the diaspora in Canada are much more sympathetic to the cause. This is another symbol of how important Indian diaspora has come to be in bilateral relations with other countries. Many Indian news outlets were quick to point out the Indian government did not extend a warm welcome to Canada- perhaps, the establishment feels alien to the vote-bank politics in other countries. Another way to look at it is that -Trudeau’s visit to India is an opportunity to move past issues regarding Khalistan. Before Trudeau, we also played host to Hasan Rouhani, the Iranian President visited. The visit is important because relations between the two countries have always been shaky considering the role of the US and Iran’s ties to other countries in the region. The visit also comes while the contours of Iran’s engagement with the world are changing on one hand and the country is facing internal turmoil on the other hand. While India is trying to juggle several actors in West Asia, the outreach seems to be more theatre than balancing. India has signed nine agreements with Iran and touched on opportunities like Chabahar, the International North-South Corridor and Farzad B gasfield but promises have to be backed with delivery. Meanwhile, some foreign analyses have referred to India’s outreach to Iran as a case of ‘deft diplomacy’. Kunal Singh argues that phrases like this ignore the larger structural factors and ignore limitations of economic and strategic realities. While January 2018 was spent looking east and February on looking west, MK Narayan points out that the neighbourhood should come first. On a similar vein, Shiv Vishwanath looks at India’s deteriorating relationship with countries in its neighbourhood against the backdrop of China’s increased engagement with the region. …One is reminded of a South African proverb which says one must invent a stranger to renew oneself. The stranger is the other that renews the self, reveals the unities and reciprocities behind difference. In the South Asian context, India must adapt these words of wisdom by inventing and reinventing the neighbour every day. It has to invent a South Asia which is civilisational, reciprocal, local in its diversity. Merely thinking as a nation state reveals the procrustean nature of the Indian mind, making it a victim of 19th century mindsets. Imaginative solutions are what we need. Speaking of an active imagination, did you ever speak the ‘P-language’ as a child?